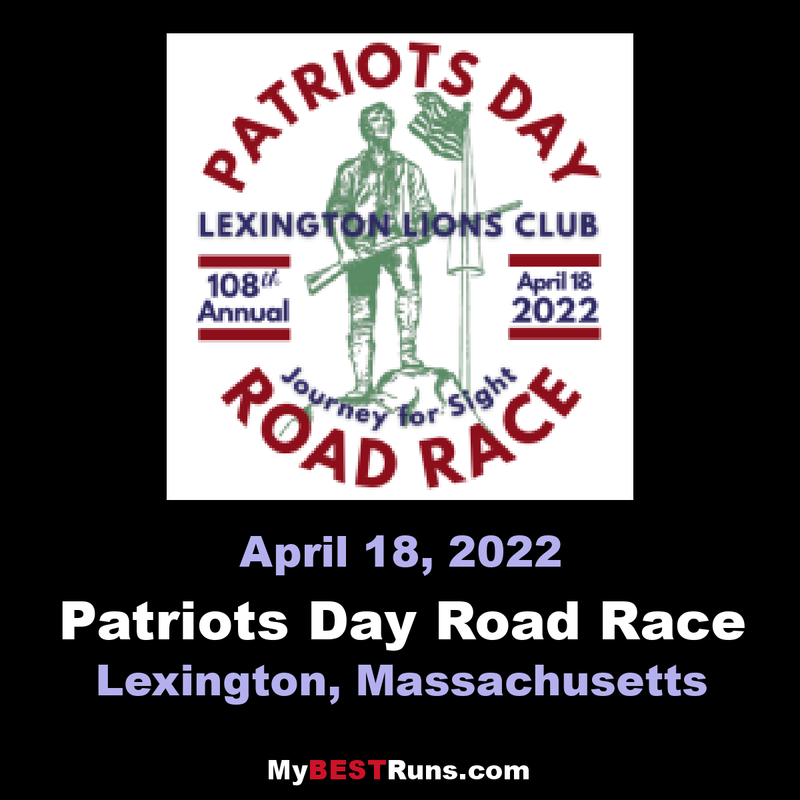 The race is five miles long and begins in front of the Buckman Tavern at 1 Bedford Street in Lexington Center, and next to the Minuteman Statue. 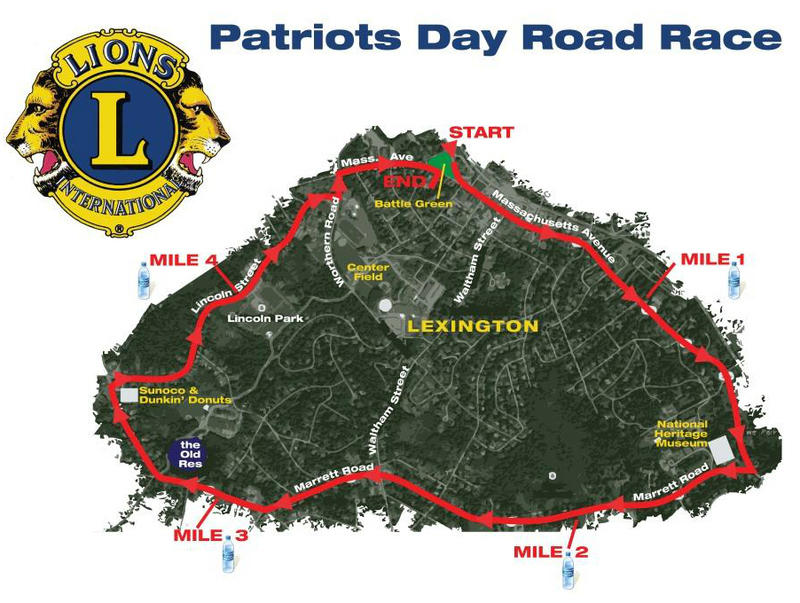 The course proceeds downMassachusetts Avenue towardEast Lexingtonand takes a right after 1.3 Miles onto Marrett Road (Rte 2A). 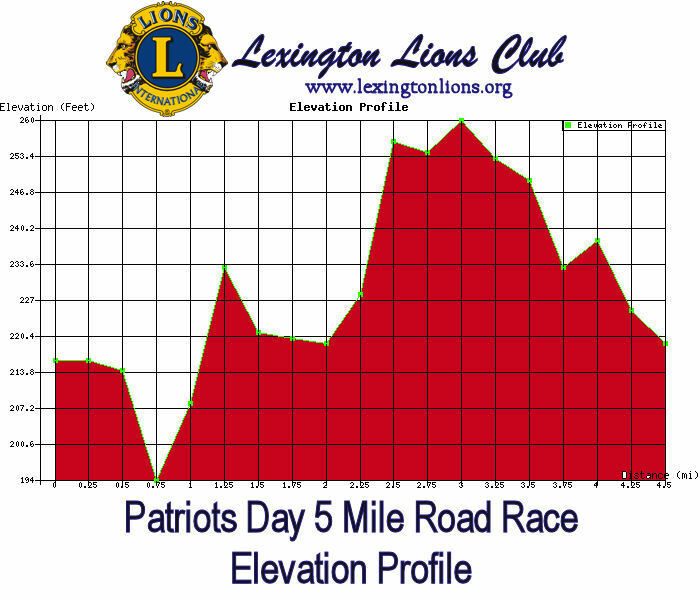 The race continues along Marrett Road which is slightly hilly and winding for 2.2 Milesat which point the course turns right onto Lincoln Street. The race continues along Lincoln Street for about 1 mile. There is a steep hill at the end of the Lincoln Street. 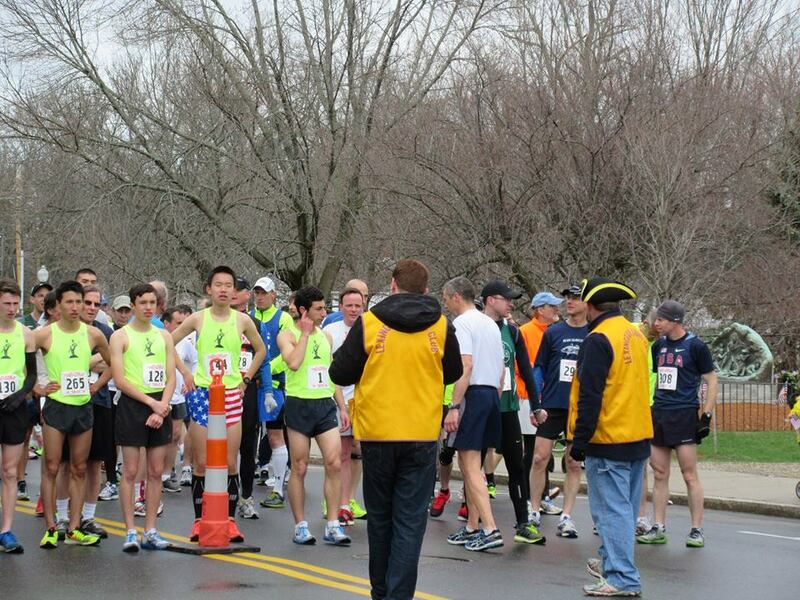 WhenLincoln Street ends, the course turns Left on to Worthen Road in front of the Town Pool Complex, 200 yards later, turn Right onto Massachusetts Avenue. 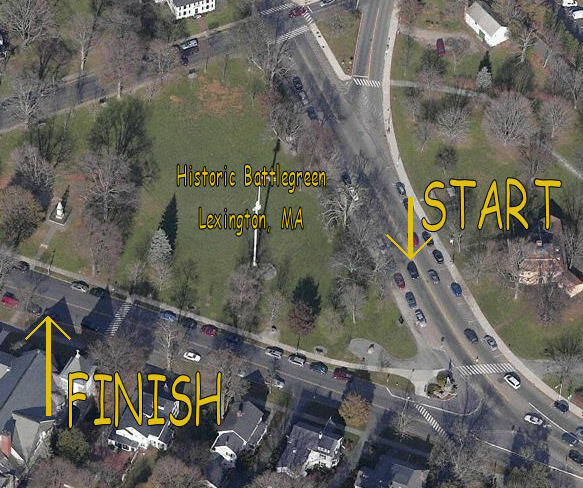 The course finishes along Massachusetts Avenue and ends near the Minuteman Statue. Parking is available at either the Library Parking Lot, or at one of the near by Churches. There are 4 water stops along the race route. Close to each mile marker.